2018 will prove a year of challenge and potentially great triumph for information security (InfoSec) professionals and vendors. 2017 revealed deep vulnerabilities in many industries’ security networks and strategies, with major data breaches and shaken public trust resulting. At the same time, these attacks have garnered more interest in innovations in InfoSec such as biometrics in Identity Management and Next-Generation Antivirus in Endpoint Security, more government regulations such as the EU’s GDPR, and more spending with Forbes predicting InfoSec spending to rise to $93 billion in 2018. InfoSec is a field of rapid innovation; with threats as diverse, adaptive, and dangerous as the ones we face in the forms of hackers, it can’t afford not to be. But that means that staying current with the latest trends and techniques becomes of the utmost importance. The alternative, as we’ve seen in several cases where traditional antivirus fails to detect threats on corporate servers for months, is to leave our corporate network and information dangerously exposed. 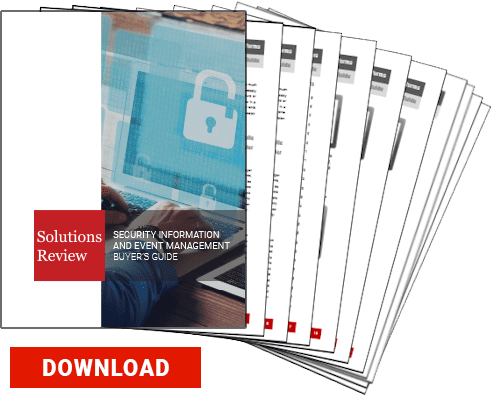 Here at Solutions Review, we do our best to provide IT professionals with the top SIEM best practices, news and buyer’s guides. But sometimes you need a little extra push, the kind you can only get in person. After all, communication and coordination between experts, vendors, and programmers will be the key to keeping our nebulous cyber-enemies at bay, and the best way to communicate (despite all the innovations we’ve made on this front) is in person. We understand, and that’s why we’ve created this list of the top InfoSec conferences and events for 2018: the grand balls of the industry that you simply must attend. If you’re looking for top-notch speakers, vendor demos, and networking opportunities, then these should be your go-to, must-attend events. We’ve written this list early to make sure you mark your calendar, so not all the information here is complete. Don’t worry though; we’ll keep it updated as more information becomes available. Notable Speakers/Vendors: John Delk of Microfocus, Dr. Zulfikar Ramzan of RSA, and Marc Van Zadelhoff of IBM Security. The most far-flung Infosec conference on this list as well as the earliest, Cybertech draws significant player in the InfoSec world, as well as government decision-makers and other technology experts. This year their focus will include health sector security, securing cloud and IoT and Cloud technology, and the women in cybersecurity. Location: ILEC Conference Center (London), Convene, New York (New York). Notable Speakers/Vendors: Ken Munro of Pen Test Partners, Julien Blanchez, Global Security and Compliance Strategist for Google, and Jane Frankland of KnewStart. Hosted by SC Magazine, the SC Congress is devoted to delivering cutting-edge content and analysis from industry thought leaders and providing unprecedented networking opportunities with CISO’s and regulators in attendance. 2018’s theme is surviving the war against cyberattacks even if not every battle can be won, which may prove prophetic for next year. It will truly be a day today’s information security professionals must attend. Notable Speakers/Vendors: Jeff Dean of Google, Crystal Valentine of MapR, and Jennifer Prendki of Atlassian (San Jose), TBA for London and New York. Here’s a good example of the importance of stepping outside of the industry to truly strengthen your strategies. Strata (and Hadoop World) is not a security conference—it’s where big data’s most influential business decision makers, strategists, architects, developers, and analysts gather to shape the future of their business and technologies. But the growing prominence of Big Data Security Analysis tools such as Splunk, and a variety of tracks covering security and governance make Strata a must-attend for forward-looking InfoSec pros. With GDPR looming on the very near horizon, this conference might be of even more importance to forming one’s European strategy and learning how others are planning on compliance. Location: Disney’s Contemporary Resort, Lake Buena Vista, Florida. Notable Speakers/Vendors: Adam Kujawa of Malwarebytes, Adrian Sanabria of Savage Security LLC, and Cameron Armstrong Peeler of DarkTrace. The InfoSec World Conference has been an annual event for the past twenty years, with attendees hailing from more than 100 nations around the world. The 2018 conference promises not only workshops and summits with over 1,000 attendees but also a Capture the Flag challenge and opportunities for CPE credits. Managers, directors, and C-Suite executives will find this conference especially informative. From understanding your adversary to learning about the zero-day exploit market to bridging the gap between security and the business, InfoSec World 2016 will offer an opportunity for security professionals to learn something new and test ideas with peers. Location: Ronald Reagan Building and International Trade Center in Washington, D.C. Hosted by One World Identity, this InfoSec conference poses itself to be a major event in the identity industry, bringing together world-famous minds and influential organizations to discuss identity in international development, community, and technology. Notable Speakers/Vendors: Bret Arsenault of Microsoft, Dr. Tracy Celaya of Go Consulting International, Robert Lee of Dragos, Inc.
RSA’s annual InfoSec conference is one of the biggest in the world, and an influential event for the information security agenda worldwide. As the IT security field continues to grow in importance and influence, RSA Conference plays an integral role in keeping security professionals across the globe connected and educated; they offer hands-on sessions, lectures, and informal gatherings to help present the latest developments in the field. RSA developed RSA Conference in 1991 as a forum for cryptographers to gather and share the latest knowledge and advancements in the area of Internet security. Today, RSA Conference and related RSA Conference branded activities draw over 50,00 attendees per year with their emphasis on valuable content. From Infosecurity Magazine, Infosecurity Europe is Europe’s number one information security event: 14,500-19,000 attendees and over 300 exhibits showcasing a diverse range of products and services. Specialist Infosec conferences, training courses, networking events, vendor parties, awards and more will all be available to attendees. The calendar is not yet set, but it promises to be dynamic and informative. Notable Speakers: Greg Young, Tom Scholtz, and Ant Allan of Gartner. 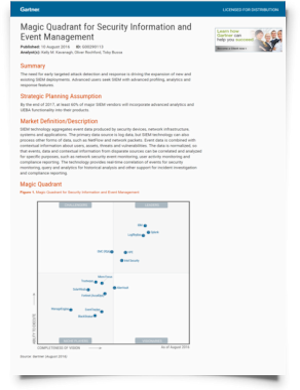 Gartner is the biggest name in enterprise IT analysts, and their summits aim to live up to that reputation. Gartner Security and Risk Management 2018 conference provides you with best practices and strategies to maintain cost-effective security and risk programs in order to support digital business and drive enterprise success. The conference will also cover governance strategies, new security architectures, and the future of the role of CISO. Gartner Security & Risk Management Summit was designed for key roles: CIOs, CSOs, CISOs, CROs, CPOs and their teams, business continuity and IT disaster recovery managers, governance, risk and compliance consultants, network security manager, security executives and directors. The specialization in attendance corresponds to the specialization of information flowing through the conference–it allows for deeper dives into the technical knowledge that will benefits the experts most of all. Ping Identity, an Identity Access Management vendor out of Denver, Colorado, is a major sponsor and organizer of Identiverse, which is dedicated to facilitating learning, engagement with industry leaders, and contributions to identity security. Identiverse began life as the Cloud Identity Summit eight years ago, and was recently reforged to accommodate the growing identity market. Now focused on identity security as the foundation of digital transformation, Identiverse features 200 sessions, 50 vendors as well as speakers from Microsoft, GE, and Open Identity Exchange. Identiverse has both in-depth Master Classes and sessions covering standards updates, real-world deployments, and best practices. Built by and for the global InfoSec community, Black Hat returns to Las Vegas for 2018. Previous years featured several days of intense training for security practitioners of all levels followed by a two-day main event including over 100 independently selected Briefings, Business Hall, Arsenal, Pwnie Awards, and more. While details on the 2018 event are not yet public, chances are it will deliver the goods once again. it-sa is the only IT security exhibition in the German-speaking region and one of the most important worldwide events. Whether cloud computing, IT forensics, data security or hosting, the exhibition is a unique platform for IT security officers, developers and providers of products and services for IT security. While not as old as other InfoSec conferences—it has only been organized since 2009—630 companies from 24 countries presented their services in 2017, so 2018 will be even more prominent. SANS Summits are two-day events conducted throughout the U.S and Europe dedicated to connecting users of security technology and thought leaders of the industry in a venue for exploration and discussion of the needs, problems, and solutions to the changing issues in InfoSec. Various events such as Security Awareness summits focus on the most current topics in cybersecurity. User Panels, Debates, Vendor Demos and short talks by industry experts help you get the most up-to-date security solutions in the least amount of time. Previous Previous post: Is SIEM The Key to Your Enterprise’s Digital Transformation?